The wedge and the gladiator meet in the Dakar from Born. 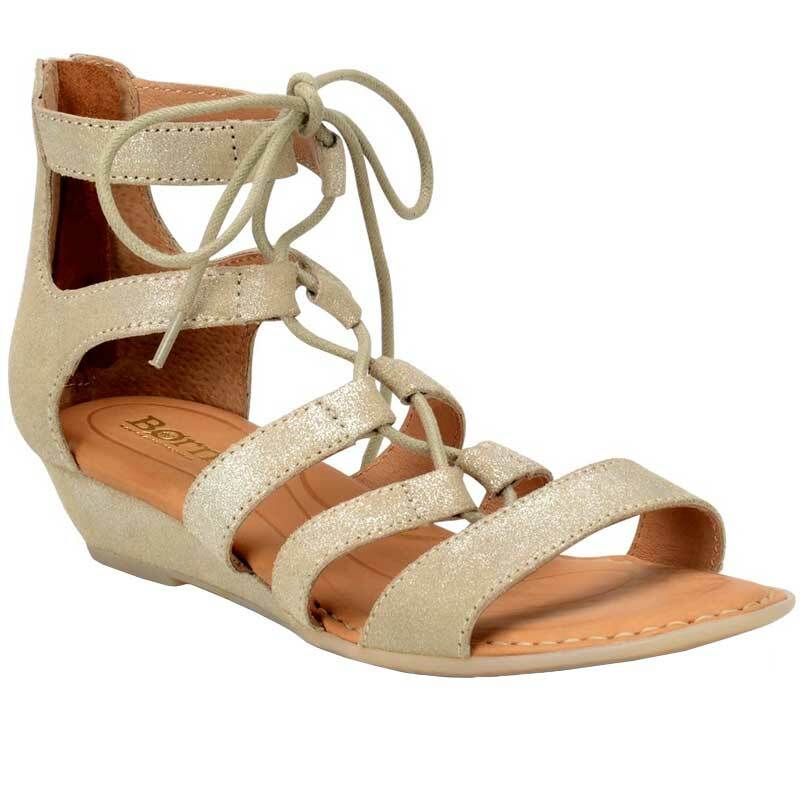 This women’s sandal has an upper made of full grain or metallic leather with a beautifully crafted lace up front and an back zipper for on/off ease. Leather linings and a leather covered footbed help wick away moisture for a healthy interior, while the cushioned footbed and built in arch combine to deliver support and comfort. The rubber outsole provides traction for a sure step, and you can count on Opanka hand-crafted construction for a reliable bond. Enjoy all your summer occasions in style with the Born Dakar sandals.